The bee pollen benefits are varied and significant. From helping with allergies to a natural raw superfood with nutritional superpowers! Bees fly from flower to flower, gathering nectar and pollen. Pollen can come from flowers, trees, weeds, fruits, or vegetables. The bees then carry the pollen on little transparent "pouches" on their back legs back to their hive. If you sit and watch the bees on a flower, you will see the pollen on their back legs. Pollen, because it comes from so many sources, ranges in color. There is white, red, green, black, brown, and yellow. Typically you find the yellow pollen in the store. 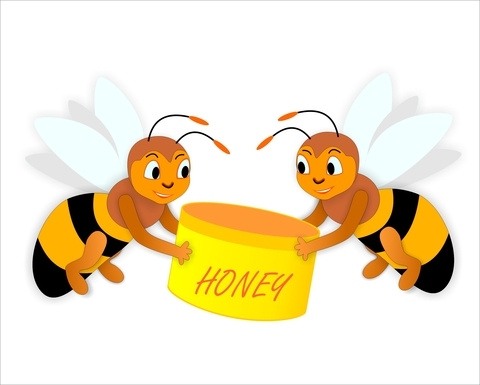 If you are purchasing from a local beekeeper and it is coming in different colors, realize you are getting the same nutrient and medicinal value. Bee pollen nutrition is that it contains a very high content level of protein, which is what the bee babies need to grow and thrive. This also makes it a valuable protein source. Bee pollen benefits are such that it contains all the minerals, amino acids, vitamins, enzymes that a human needs to survive. SO much that it is indeed a superfood. Bee pollen is taken to help with allergies, alcoholism, malnourishment, asthma, side effects of chemotherapy, and for its simple nutritive value. It is used as a natural dietary supplement or in skin softening products like baby salve or salve for eczema. Bee pollen for allergies is one of the most popular factors that bring people to researching and purchasing bee pollen. For allergy sufferers looking for help it can be used as a natural means to help with their allergies. Bee pollen is not a drug. Pollen in its natural, unaltered state can be ingested to help the sufferer build up a tolerance to the pollen they are allergic to. This is why it is important to obtain the pollen from your local area. It then contains pollen from the geographical plants that you are allergic to. Taking pollen from a different area may not help you with your allergies, but is still a great supplement. Bee pollen can have very serious side effects, including anaphylaxis and potentially death. There are some instances where it should NOT be taken. Do NOT take bee pollen if you are allergic to bee pollen. Do not take if breastfeeding. Do not take if allergic to bee stings. Do not take if you are taking a blood-thinner such as Warfarin. It can cause gastrointestinal distress and diarrhea. It can cause a "healing crisis". This is actually a very good thing but can be uncomfortable. A healing crisis is when you start something that is assisting your body to align back to healthy stasis, but you are healing faster than your immune system can keep up. It can cause headaches, sweats, muscle aches, runny nose or tearing of the eyes. Do not confuse this with the more severe reaction of anaphylaxis in which you should seek medical treatment immediately. 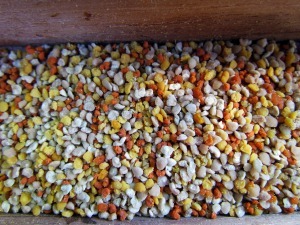 You have read all about bee pollen benefits and are ready to go! There are a few tips to help reduce eliminate side effects and decrease sensitivity. 1. ALWAYS start bee pollen by putting one grain under your tongue and letting it absorb into the mucous tissues. This will put the pollen directly into your blood stream. If there is no reaction, the next day eat two grains. And gradually increase in this manner. There have been MANY people who have done this and after they have increased to a certain amount they have had a BIG reaction. Do not take this lightly. 2. Ingest after eating a meal. 3. Start taking in winter or in non-allergy season. Bee pollen comes in dietary supplements that can be purchased at your health food store. There are bee pollen capsules, tablets, and granules. I prefer the raw, unprocessed bee pollen granules. 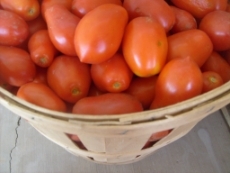 These have been unaltered, and contain the many undiminished nutrients. 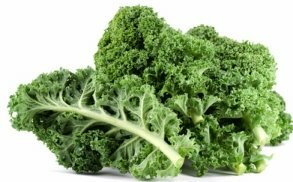 I add to my green smoothies, cereal, yogurt, or sprinkle on vegetables. Bee pollen health benefits are so great that most people find it is worth the gradual building up in quantity to determine an allergy to it. I have had the wonderful opportunity to work with a lady bee keeper who has taught me a lot about the bee pollen benefits. She asked if she could keep a hive in my yard as we have a big garden and a few fruit trees plus lot of flowers. I have been learning so much from my friend Lynda who has such a passion for helping the bees survive in our area. Lynda gets calls from people who want a hive removed from their eaves or a tree. She will go out and collect the hive to give it a home which is the hive. When hives get to over loaded with bees and honey the hive will swarm and leave the hive and try to find a new home which is why they end up in trees or under eaves. Please never spray them, they are docile in a swarm as they have filled up with honey to take to their new home. Bees are really fascinating little creatures. Please do what you can to help support your local bees. It really is important for the bees and for our planet.